We have seen that some people can have up to 30% of abnormal plasma cells in the bone marrow and a raised level of paraprotein in the blood, but no other physical symptoms. This is smoldering myeloma, which progresses slowly and will eventually develop into active myeloma. In most cases it does not need treatment, but patients will be monitored at least annually and should have blood tests 3-4 times a year. During this time it is important to watch out for pain, fatigue and weight loss, and to report these symptoms to your doctor. About one in ten patients diagnosed with smoldering myeloma will develop active myeloma in the first year after diagnosis. About 3% will develop active myeloma in the following year and about 1% each year after that. Smoldering myeloma is often diagnosed when a blood test taken for other reasons reveals a high level of overall protein in the blood, which will then be investigated further. A blood paraprotein level of 30g/L (grams per litre) or higher (or urinary protein of 500mg in 24 hours or higher), together with a level of 10% or higher of abnormal plasma cells in the bone marrow, indicate a diagnosis of smoldering myeloma. There will be normal kidney function, no anaemia, no bone lesions and a normal level of blood calcium. 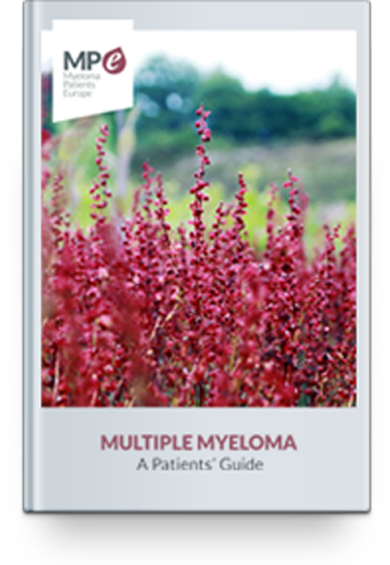 While no treatment is given for most smoldering myeloma patients, as the benefit is outweighed by the potential side-effects, a small proportion of patients can be at a high risk of developing active myeloma within the next 1-2 years. Active research is going on at this moment to establish what causes this higher risk. For these patients, early treatment may be beneficial and can delay progression to active myeloma. Treatment may be recommended if the level of plasma cells in the bone marrow, or of free light chains in the blood reach a high level, or if an MRI scan shows areas of bone abnormality.